Advanced Style: Ari Seth Cohen captures the style of the sterling set. The Citizen: You've quietly changed the fashion landscape with your blog and now your book, Advanced Style. 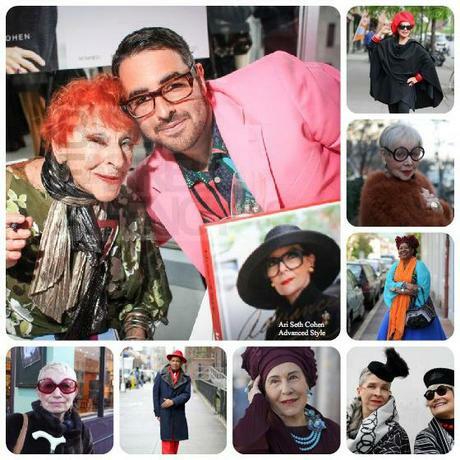 Tell me, did you imagine that you were going to cause a sensation by photographing stylish people "of a certain age"? Ari Seth Cohen: I've always revered the older people in my life. I never thought that photographing older people would be so extraordinary; it should be normal to give respect, attention and visibility to people with great wisdom, creativity and experience. 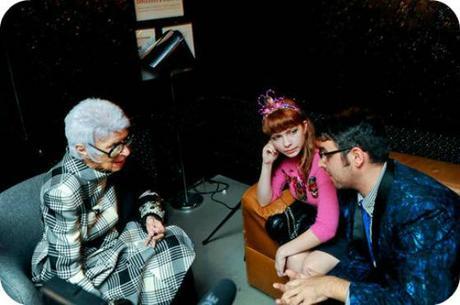 All age appeal: Cohen talks with icon Iris Apfel and rookie Tavi about style. The Citizen: Has your street style blog affected your own personal style? Have your subjects inspired any change in your way of dress? Ari Seth Cohen: I've always been a bit eccentric, but for a while I toned down my style for professional reasons. The Ladies and Gentlemen I photograph have given me my sense of freedom back. The Citizen: Tell me three words you would use to describe the folks on your blog. Ari Seth Cohen: Vital. Spirited. Wise. 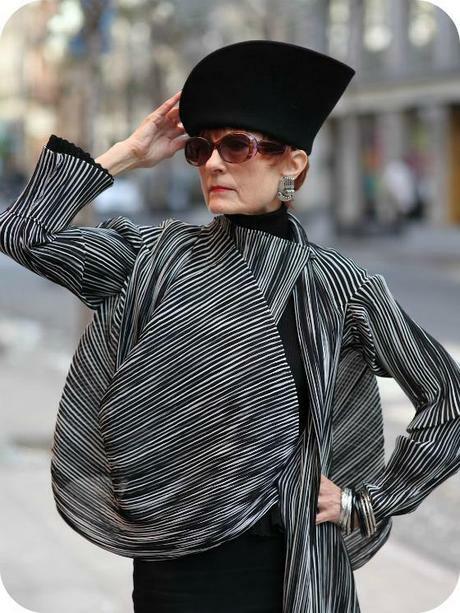 Style's Own: A frequent feature on Advanced Style is a personal favorite, The Style Crone. The Citizen: You are now working on a documentary, and currently trying to get funding via a Kickstarter campaign. Why should a person consider donating to these cause? Ari Seth Cohen: Lina (Plioplyte) and I are trying to bring visibility to a group of people often forgotten and made to feel invisible. The people featured in our film have the power to transform our ideas about aging and inspire us to live life to the fullest. 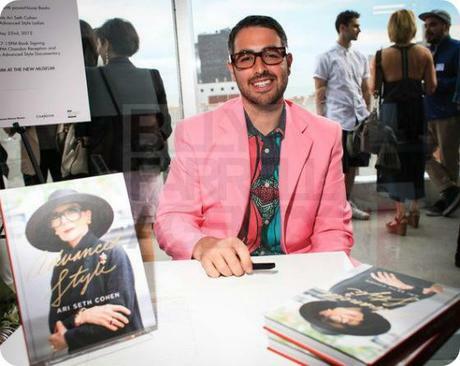 Tickled Pink: Cohen's proud moment at an Advanced Style book signing. The Citizen: What's next on the agenda for you? What would you like to see happen for you and Advanced Style? 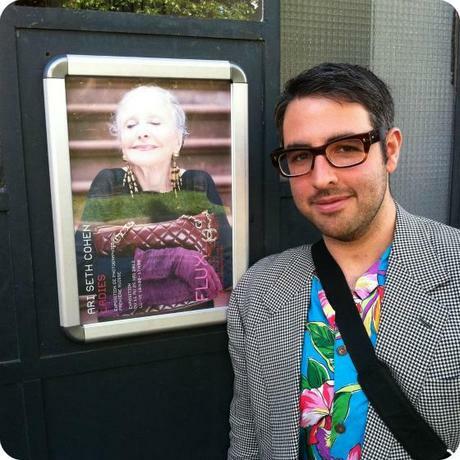 Ari Seth Cohen: I'd like to continue the blog and am working on a new book idea. Lina and I also have to finish the Advanced Style Film that we've been working on for the past two years. I just want to continue to put out inspiring images of age and growing old. If it's not already on your blogroll, be sure to add advancedstyle.blogspot.com to your reader! All photo credits: Advanced Style, Ari Seth Cohen. Used with permission.